LOOKING to join a new industry can be daunting, particularly if you aren't quite up to speed skills-wise. Industries like the CSG-LNG sector are quite particular about the skills they require of their employees, a lot of which are legislative requirements enforced at the state or federal level. Energy and mining services company Easternwell solves that problem by creating its own registered training organisation, providing the in-house capacity to support the company's operations through accredited and non-accredited training designed to equip participants with the skills, knowledge and ability to perform their jobs safely and efficiently. Easternwell group recruitment coordinator Matthew Moynihan said the RTO, through its purpose-built facility in Toowoomba, allowed Easternwell to upskill employees for projects - for everything from field positions to hospitality. "The RTO has developed and delivers a two-day 'on boarding' induction for all field-based employees, designed to be transportable and common across the scope of Easternwell," Mr Moynihan said. "The induction provides employees the opportunity to experience a simulated worksite, where employees are instructed and assessed around the foundations of site practices, hazard identification, and manual handling techniques. 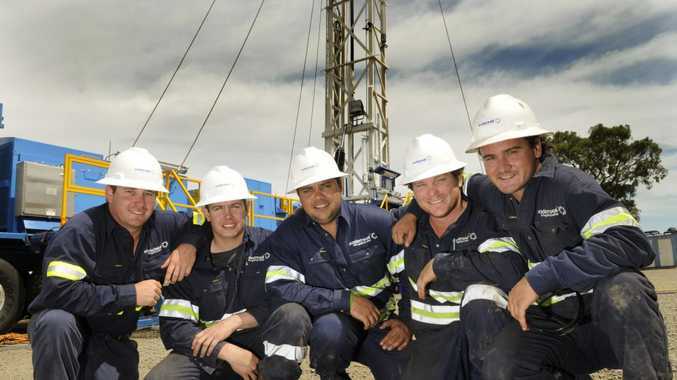 "Easternwell's RTO has also developed and implemented a comprehensive Rig Employee Development Program designed to enhance the operational capability of our field crews. "The program is aligned with nationally accredited qualifications from the RII09 Resources and Infrastructure Industry Training Package and is specifically designed to provide a continuum of training for our rig employees from leasehand to rig manager." Mr Moynihan said Easternwell Training was also offering a Certificate III in Hospitality for support roles in the company's camps. "The course has been contextualised specifically to remote catering services of the company which educate people in the processes and practices of hospitality operations," he said. "The program is aligned with a nationally accredited qualification from the SIT07 Tourism, Hospitality and Events Training Package. "The provision of in-house training contributes to the health and safety of our employees and provides opportunities for our employees to progress." Easternwell maintains a presence across Australia, with significant operations in the Surat, Bowen and Galilee Basins. For employment opportunities, visit careers.easternwell.com.au.